Jorden is the individual who started Pacific Top Team Kelowna, West Kelowna and Penticton and is one of the creators of the brand Pacific Top Team. He has won countless international medals at the largest tournaments in the world. 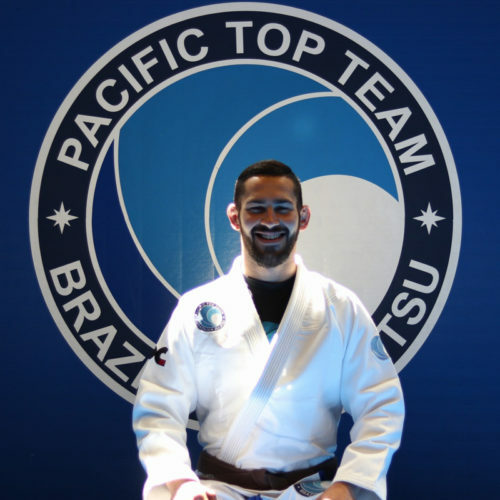 His competition resume, instruction and coaching in Brazilian Jiu-Jitsu are unmatched throughout the Okanagan. I began training in 2005. After training and competing for 4 years, I decided to move to Kelowna and open my own school. In 2009, I began renting mat space twice a week at a Japanese Jiu-Jitsu School in Rutland and the support build quickly. Now, with over five hundred students and three locations, my dreams and goals are starting to come to fruition. My calling in life was helping other people. I love to see people succeed and reach their goals. Brazilian Jiu-Jitsu has completely changed my life and in my schools I have seen it change others as well. Witnessing my students learn and grow has and will continue to be a lifelong journey for me. I am always learning and evolving into a better version of myself through Brazilian Jiu-Jitsu. Andrew is the head instructor of Pacific Top Team Penticton. He came on board with PTT in 2017 relocating his family from the island and they never looked back. 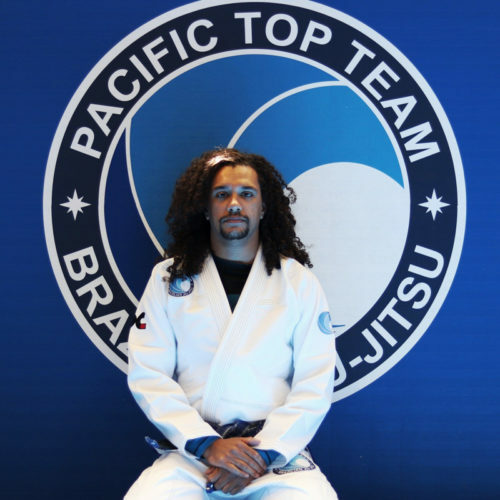 His incredible passion and dedication to his students reflects in their successes on the mats. The growth of the school has doubled with Andrew leading the way, creating a fun and safe atmosphere for all ages to enjoy. I started training in April 2006 because I wanted to get into shape. I found Jiu-Jitsu very intriguing because it challenges the mind just as much as the body. As we all know life can get crazy, busy, and stressful. Jiu-Jitsu has been amazing for me because it has brought balance to my life, taking care of myself in the midst of the busyness. My favourite part of instructing is watching my students grow in humility. One of the many beauties of Jiu-Jitsu is that the more a person learns the more they realize how much they have to learn. There is no room for ego in this sport. Martial Arts is good for everyone because it builds confidence along with the aforementioned humility and it also promotes a healthy lifestyle both physically and mentally. Martial Arts teaches us that there is more to life than just ourselves, to face our challenges head on, and to get back up and learn from our defeats. At 22 Clint began his journey in Brazilian Jiu-Jitsu. He quickly excelled, earning his blue belt in just over six months, as well as enjoying the competitive success shortly thereafter. 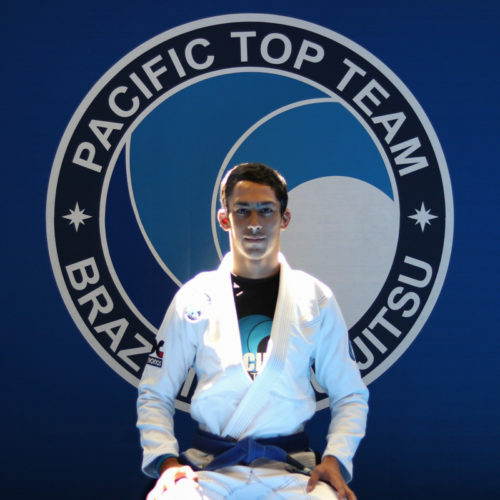 Clint has consistently competed in local and international tournaments since 2012, garnering regional titles in both gi and no-gi competitions in B.C., Alberta, Washington, Oregon, and California. 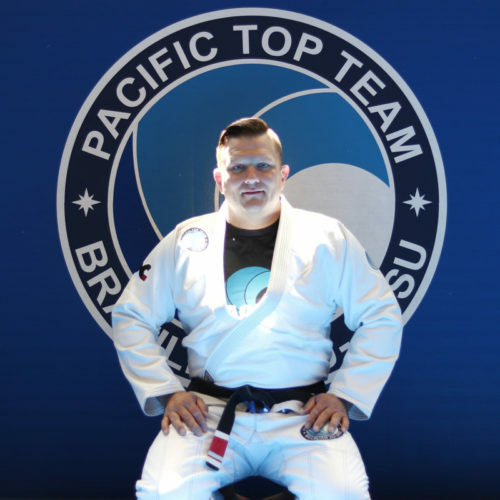 Clint is currently the head instructor of Pacific Top Team West Kelowna. Clint has an incredible knowledge and passion of Jiu-Jitsu which is reflected in his students successes. He is not only a phenomenal coach, but also a phenomenal athlete. 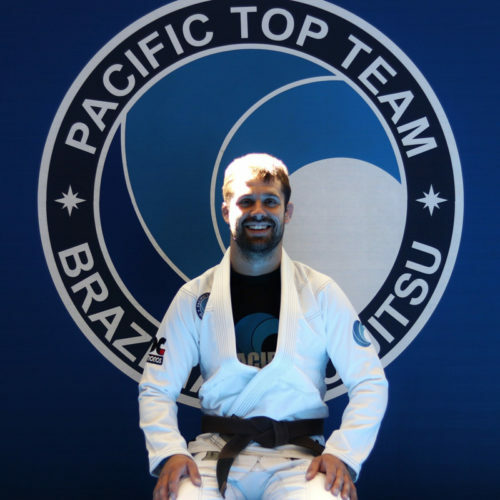 Jiu-Jitsu is constantly evolving so Clint is careful to make the conscious decision to compete on a regular basis to keep his Jiu-Jitsu sharp and his instruction sharper. I started training after being an MMA fan for a few years and thought it seemed like a fun way to get in shape. Not long after training, I realized it was something I loved to do and began shaping my life to accommodate it more. After a few years I was able to move towards teaching and training full-time, which allows me to share my passion with all my students. 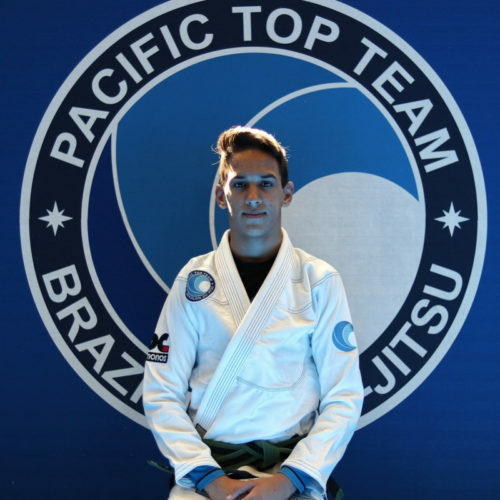 Justin, alongside Jorden, is the main instructor at Pacific Top Team Kelowna. His dedication to his work shines through the investment he has in his students. Justin is not only is an amazing instructor, he also challenges himself by competing on a regular basis in Jiu-Jitsu and MMA. He continues to be a leader and an inspiration for his students on and off the mats. I started training in November 2009 at the age of 15. I always had an interest in Martial Arts and sports growing up but I was a heavier kid with very little confidence. One of my friends (shout out to Jesse) started training and said it was awesome for self-defence and losing weight, so I thought I’d give it a try. After my first class, I was so gassed and got tapped out so effortlessly. I was fascinated and instantly hooked. Jiu-Jitsu and Muay Thai has changed my life completely. It helped me dramatically with losing weight, building confidence, reducing anxiety and enhancing my self-esteem. These are benefits that Martial Arts and Jiu-Jitsu in particular can offer to anyone who is willing to take the time and put in the effort. For me specifically, it has given my life a lot of meaning and purpose. It has given me both an avenue to forge and better myself but I’ve also been able to help and teach others. It has opened up so many opportunities for me as a competitor and instructor. My favourite part of instructing is simply the fact that I get to share something that I am so passionate about. I know what martial arts has done for me and I get excited about passing on the knowledge. I think everyone in one way or another can benefit from training martial arts. It is such a powerful tool and, depending on your desired intensity, it can push you mentally, emotionally and physically. Whether you are a full-time athlete or at a fundamental level of training, it is a way to connect the mind and body, all while learning awesome self-defence skills, blowing off steam and strengthening yourself. Sarah is the head instructor for the Women’s Only Program. 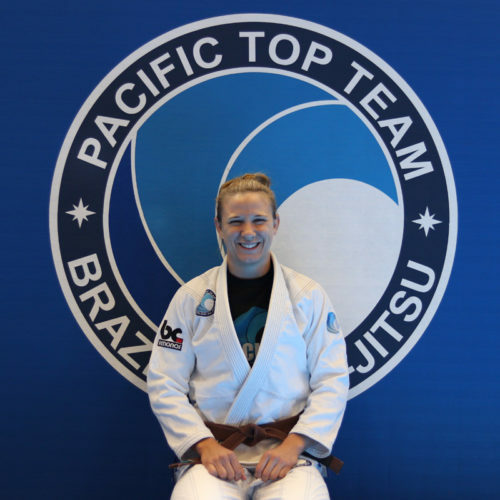 She has had countless amateur matches in San-Shou (kickboxing with takedowns), professional fights in MMA and Kickboxing, and has won the most international medals in Jiu-Jitsu of any female in the Okanagan. She teaches with passion, intensity and incredible experience, building an incomparable women’s program. I started training in 2005, competed and continued training until 2011 and then moved to Kelowna to be business partners with Jorden Reichenbach. I love competing and training because of the raw honesty it brings. There are no shortcuts, no ways to ‘fake’ what you can and cannot do or what you know. It all comes down to hard work. This is why the rewards from Jiu-Jitsu are something to be very proud of, and for me so worth it. 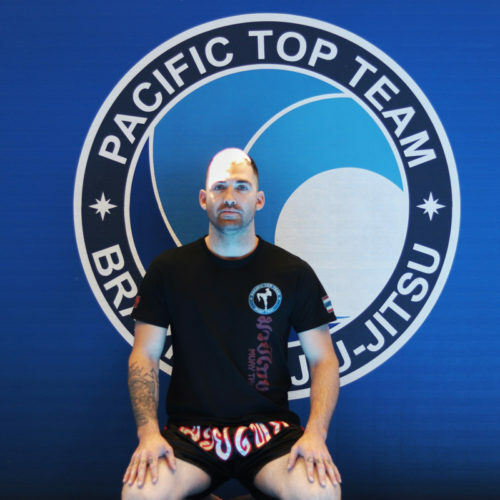 The skills, experience and passion of training over the years is what I seek to instill in my students through my instruction at Pacific Top Team. My greatest enjoyment is to watch the journey each student takes from the first time they step onto the mats to the transformation they make and the improved quality of life they end up with. 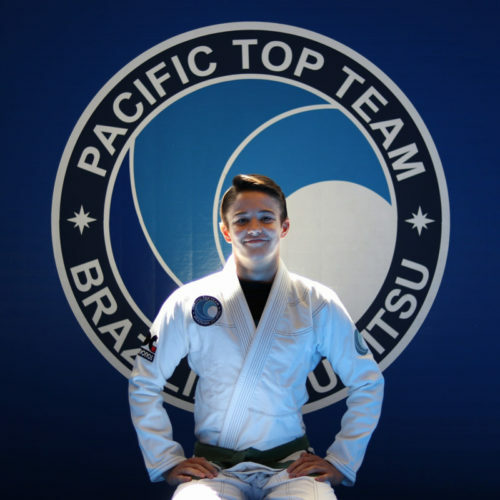 Pacific Top Team is my home and second family. As our team grows in strength and numbers it only gets better. Al is an assistant instructor to Andrew in Penticton. Al’s gentle demeanour, complimented by his sense of humour and enthusiasm, creates a perfect balance for a strong instructor. 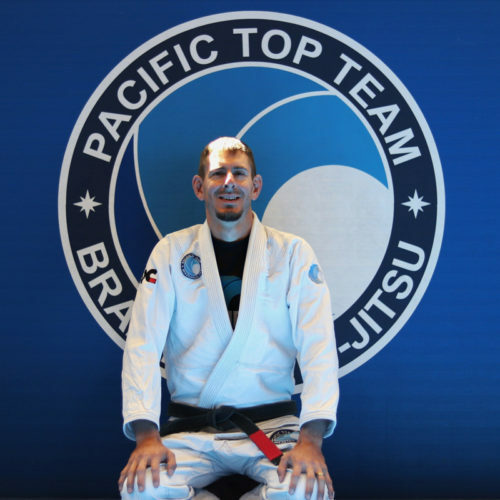 Al’s passion for Jiu-Jitsu and helping others shows every single time he is on the mats. I started training October 18, 2016. I dedicate two hours every day to learn this wonderful martial art. It is my passion. Jiu-Jitsu has changed my life in so many ways. When I first started I was not an athlete in any way. I didn’t play sports or exercise and I was extremely overweight. My goal was to improve my fitness. I didn’t enjoy lifting weights or running on the treadmill, so for me it was a means to exercise and learn something new at the same time. As I began training, I got the urge to test myself against others and quickly fell in love with competing. The more I competed, the more I wanted to help my teammates and I discovered how much I love to help others. I eventually found myself assisting with the kids’ classes, which lead to being a full-time instructor in Penticton, BC. I love going to work each day. My favourite part of instructing is watching the younger generation experience Jiu-Jitsu; teaching a technique and watching the kids execute it gives me such pride. Someone once told me you can’t fake Jiu-Jitsu, and that couldn’t be more true. Most people assume that Jiu-Jitsu only benefits fitness, but when it becomes a priority and a person commits to learning and developing their skills, other benefits are acquired. Self-confidence, problem solving and the ability to work with others are just a couple of the benefits this sport and community can bring. Jiu-Jitsu is not easy, but I truly believe that it can be for everyone. Whether you are a competitor or you are just looking to learn some basic self-defence, it’s really up to you to decide how Jiu-Jitsu fits into your goals. ‘Coach Smokey’ enjoys teaching the TIny Champions Program (ages 3-4), not only that – you will find him constantly coaching and instructor adult classes as well. He has a heart of gold and it shows through his instruction and how much he cares for his students. Teaching such a small age group can be challenging because the perfect balance of excitement, engagement, discipline and structure has to be found. Craig has found this balance and he has moved countless students through the Tiny Champions program and watched them graduate to the Future Champions. Being part of their Jiu-Jitsu journey is something Craig holds with honour and excellence. I have been training since 2014. Training Jiu-Jitsu has changed my life in a number of positive ways, continually driving me to be the best version of myself that I can be. This art has had a ripple effect on my whole life, in order to be more effective on the mats I needed to make changes off the mats. I quit smoking and started eating healthier which has caused me to lose weight and gain energy. One of my favourite parts of being a coach (especially of my Tiny Champions) is seeing the transformation that occurs. From students walking onto the mat on their first days (sometimes shy and intimidated) to building confidence and teaching them how much they are capable of. Quite frequently, I am one of their first coaches and I hold this with the utmost honour, respect and excitement! Jiu-Jitsu is beneficial for anyone because it teaches perseverance. Some people assume there are only good days in Jiu-Jitsu, but this is not the case. Jiu-Jitsu can be a very powerful parallel to life. On the good days and the bad days alike keep driving through and eventually you will reach your goals. The harder it is, the sweeter the victory becomes. I encourage everyone to train and watch their life slowly change before their eyes. Amreek and Karm are Justin’s little brothers and are assistant instructors in Kelowna. They started in the kids program when they were young, and as soon as they had a solid foundation they started coaching. Over the years their countless hours on the mats have developed into incredibly skilled Jiu-Jitsu. They are a testimony of what skill and technique can do against size and strength. These boys have hearts made of gold, and are beasts on the mats. Both compete on a regular basis to keep themselves focused and constantly improving while constantly sharpening and testing their Jiu-Jitsu. Not only does this makes them better athletes, but better coaches as well. I started training when I was eight years old. I started training because my older brother Justin started and eventually got my little brother (Karm) and I into it. Jiu-Jitsu has changed my life in so many ways. It has taught me to be dedicated and respectful. My favourite part of instructing is helping others learn and helping people become more positive and confident. I think everyone should train Jiu-Jitsu because if humbles you and teaches you respect. I started training when I was six years old. My family was going through a hard time and my brother suggested that I should try the sport. My favourite part about instructing is watching kids grow and begin their own journey. I believe martial arts is good for everyone because it helps a variety of people and it helps with many different aspects of life. It is a peaceful place. Although young, Cain’s knowledge and experience surpasses his years. He is on the mats every day as an assistant to coach to Clint in West Kelowna, and he even teaches some of the classes himself. Cain’s passion for the Jiu-Jitsu and the development of his students shines through every time he is on the mats. Cain also enjoys testing his Jiu-Jitsu on the competition mats, he finds it keeps him focused and constantly improving.The level of instruction goes much deeper with the experience of competition behind it, so he makes the conscious decision to compete often, and he does very well. Since I was eight years old I have been training and competing in Judo. 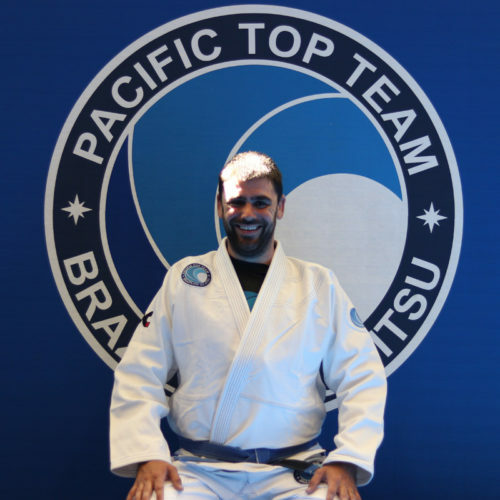 I joined the Pacific Top Team West Kelowna gym in September 2016 and quickly fell in love with Jiu-Jitsu. I started Jiu-Jitsu because my Judo coach mentioned I should train with Clint Cooper in West Kelowna. Jiu-Jitsu is my way of life. It keeps me focused, motivated and challenged in a healthy and exciting way. Instructing is a chance for me to give back to the sport. Watching our young students transform from not being able to tie their own belts, to having confidence in themselves to take someone down, pass their guard and submit them is quite amazing. I also enjoy when students feel proud of themselves for working hard. Martial Arts is good for everyone because It helps build confidence and character, teaches self-defence, and is fun for all ages. Adolfo Lozano is the head instructor for the Co-Ed Muay Thai Program for Pacific Top Team Kelowna. A past World Champion in Muay Thai, National Coach for Mexico, Switzerland & Thailand. Adolfo holds a black belt in kickboxing and Thai Kwon Do, a Red Prayat in Muay Thai and a blue belt in Brazilian Jiu-Jitsu. His competition and instructing experience are world class and world-renowned hands down. I have been training for most of my life and teaching for over 20 years. Martial arts has been amazing for me because it has helped me with coordination, self-discipline, and focus. Training has been a positive influence in my life in terms of encouraging me to eat healthy so I could train harder, cross train so I could prevent injury and enhance performance and it has led me to surround myself with amazing people. I continue to better myself on and off the mats. My dad used to always say “healthy body, healthy mind.” Train martial arts, eat healthy, cross-train and your quality of life will go way up. One of my favourite parts of instructing is watching my students progress. It is incredibly rewarding to teach them something new, see them execute it in sparring and then see the excitement in their faces when they’ve mastered the skill. Martial arts is good for everyone because it improves the quality of life. Through my journey I have had experiences and opportunities I never otherwise would have had. Training, attending events and seminars and travelling all over the world. I probably would never have left Mexico if it weren’t for Martial Arts. It has changed my life for the better. Mitch is the head Muay Thai instructor in Penticton, training under world Champion Adolfo Lozano out of Kelowna. He also assists in teaching the children’s Jiu-Jitsu Programs. Mitch is not only an incredible instructor but also an incredible leader to his students. He is an example of what hard work, dedication and perseverance looks like on a day-to-day basis. He inspires his students daily on and off the mats and continues to challenge them and drive them to be the best version of themselves. I have been training in kickboxing for five years (Muay Thai and Jiu-Jitsu). I love training because it is a healthy outlet for me in many ways. Being on the mats allows me to have a positive physical release while being challenged mentally. I enjoy teaching martial arts for many reasons: building people up, seeing growth, improvement within students and watching them push past their boundaries as they become the best version of themselves. I believe in this cause so much. It is slowly becoming my life’s work as I instruct more and more. I believe that martial arts is great for everyone because it builds discipline, strength, confidence and mental toughness. Lindsay is our full time employee in Penticton, as well as an assistant instructor for Women’s Only Muay Thai. Her passion and enthusiasm for her students is absolutely incredible and she is an invaluable member of our team. PTT’s only regret is that we cannot clone her to have more Lindsays! I started training in approximately 2016. I always loved fitness, health and being active- but wanted to take it a step further. I also wanted to do something just for me. I needed a challenge. Being a mom is the best job in the world but I needed to keep my own identity too. Martial Arts has helped me accomplish all the goals I had and more. I am in the best shape of my life and am constantly humbled, calmed and inspired by my teammates, my instructors and by the journey that Muay Thai and Jiu-Jitsu have taken me on. My favourite part of being an instructor is guiding women to push a little harder each class and seeing them lit up after working so hard. They get better every week. It’s amazing to see the self-doubt and worries melt away. Who should do this? Anyone who has ever wanted to really truly feel alive and confident.